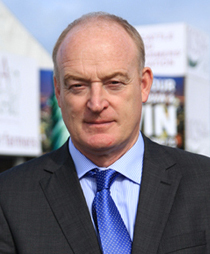 ICSA president Patrick Kent has insisted that the Minister must revisit the issue of young farmers who do not qualify for an allocation from the national reserve at present owing to their date of commencing farming. This group, commonly referred to as the Forgotten Farmers, were left out of the official allocation for young farmers and the national reserve fund. It is estimated that some 3,900 young farmers now find themselves in this position. Earlier in the summer, ICSA brought the issue to the Joint Oireachtas Committee on Agriculture, where Mr. Kent outlined the case for the young farmers. Among the delegation was ICSA member Kenneth O’Brien who established the Forgotten Farmers’ group. Mr. O’Brien made a very telling contribution to the debate by outlining case histories of farmers affected by the flaw in the National Reserve. As a result of the ICSA presentation, the Oireachtas Committee voted to fully back their cause and it has called for them to be eligible for equal treatment under the National Reserve. However, Minister Coveney has since said that there are no funds to help them. ICSA Roscommon chairman, Ger Grehan has said that this cannot be the end of the matter. He has called on all politicians of every persuasion to come out and state their support publicly, in order to put maximum pressure on Minister Coveney and the Government. “This is an injustice that cannot be left to fester,” declared Mr Grehan. ICSA is to continue to seek a solution for young farmers in this position. According to the ICSA president, Patrick Kent, the maximum possible cost would be an allocation of €12 million. However, he suggested that in practice a much lower sum would probably suffice as some farmers will not be eligible due to other criteria and some will have already some level of entitlements which just require topping up.